William Wilkinson Watson was born in Nettleton, Lincolnshire in 1880. His parents were John Watson (1844 – 1913) and Ann Clark (1856 – 1883). His father was an ironstone miner working at the Nettleton ironstone mine. The closure of the mine in 1885, forced his father to seek alternative work. The family had moved by 1891, but they are difficult to find on the 1891 Census. On the 1901 Census William Wilkinson is lodging with the Rister family at 169 Poolsbrook. He was employed as hewer. He married Ellen Whelpdale on 4th April 1904 in Staveley. They had two sons: Ernest and Walter Wilkinson. On the 1911 Census, William Wilkinson was living with his wife and first son, Ernest at 162 Poolsbrook. He was employed as a hewer. At the time of the disaster on the 10th May 1938, William Wilkinson was living at 36 South Crescent, Duckmanton and employed as a contractor. 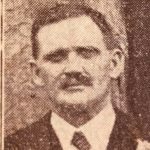 The funeral of William Wilkinson took place on the 14th May 1938 along with fifteen other miners at Duckmanton cemetery. The sons of William Wilkinson both placed an ‘In Memoriam’ notice in the Derbyshire Times and Chesterfield Herald in 1942. WATSON – In affectionate remembrance of dear father, who died May 10th 1938; also of our mother who passed away May 28th 1939. Ever Remembered by Walter, Hilda and Granddaughter Ann. 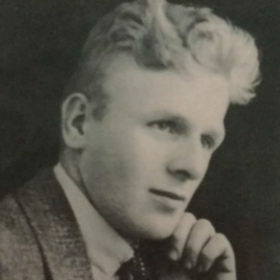 WATSON – In everlasting memory of our dear dad, William Wilkinson, who fell asleep on May 10th 1938; also our dear mother, Ellen, who was reunited with him on May 28th 1939. “A few years have passed, but their memories still remain”. From their loving son, Ernest, Gladys and Grandson John. Bristol. To read an interview with Ellen Watson click here.